This may seem a weird way to start an article written for registrars, but many years ago, I attended a day of clown school. It was a pretty unique experience, and (little did I know at the time) it was also an experience would turn out to have something in common with working as a registrar! Be you clown or registrar, the art of juggling is an important part of the job. For a registrar working with loans, for example, juggling is required to ensure that the demands of both the lender and their institution are satisfied to a standard that will enable the loan to proceed. When it comes to university museums, however, there is a whole extra level of complexity to these loan negotiations. University museums commonly undertake intra-institutional loans to all sorts of locations around their own university. Your items may still be ‘on-site’, but how much influence can you actually maintain over your loans in these circumstances? 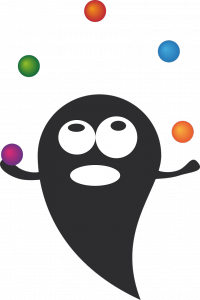 Juggling balls can all too quickly become chainsaws when you realise that there are many competing demands to manage in this environment, some of which are out of your control. The requirements of collections care and preservation, for example, can struggle to make themselves heard against the demands of institutional expectations, history and politics. Where do you draw the line on loan requirements in these circumstances? Is there, in fact, a line? Or is it a tightrope, perhaps? This was the very interesting subject which formed the basis for a fascinating session on the morning of Day 2 of the 2015 ARCS Conference in New Orleans. 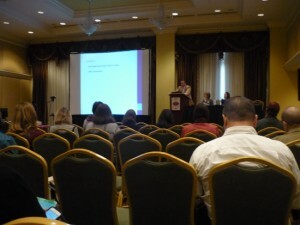 The session included presentations from three different speakers. Nicole Linderman from Harvard Art Museums, Trevor Weight from Brigham Young University (BYU), and Sonja Reid from the University of Texas (UT) all spoke to us about the challenges of loans within their university. Nicole kicked things off by putting on her metaphorical Stetson to take us through the ‘Wild West’ of campus loans, outlining circumstances which were subsequently shown to be similarly evident at all three institutions. All of the speakers indicated that collection care had taken a back seat in many cases at their universities. At Harvard, tradition was seen as substantially more important than collection care, as evident in the fact that many of the institution’s works had been displayed in a particular location since time immemorial and consideration had never been given to potential display change or object preservation. In addition, many new loans were still occurring despite an object movement related moratorium being in place, underlining the disregard being given to collection care. At BYU, loan agreements were often disregarded to such an extent that people who had objects on display in their offices/halls would consider the objects to be ‘theirs’, and would often take them with them when they moved offices or even take them home! UT noted a problem common to all three institutions in that loan agreements for collection items were being made with people within the institution who were not museum trained, meaning that they did not understand the purpose of loan agreements and often did not see the necessity of following them. In all three locations, then, something needed to be done to remedy the situation. As Trevor put it, the approach needed to be a three step process – Change It, Sell It and Enforce It. In each case, change meant the development of a robust new loans policy. The emphasis was on policy rather than comprehensive loan agreements because of the internal nature of the loans and the lack of expertise held by those borrowing the works. Good polices, therefore, needed to be developed and key university figures needed to be convinced of the usefulness such policies in order for them to succeed. The universities in question all had similar ideas, but there were differences in their approaches to change due to their different circumstances. At Harvard, a yearly contract document was implemented for loans – previously, many loans had not been documented at all. At UT, loan agreements for such loans were actually decommissioned as they simply weren’t enforceable. University policy dictated that one campus entity could not sue another even if such an agreement was breached, meaning their usefulness was very limited. A very important factor in instituting change at all three universities was education. This was what Trevor called ‘selling it’ – if people better understood the need for such policies, they would be more likely to follow them. What better place to learn than a university, after all? At Harvard, Nicole took the opportunities presented by a physical inventory of the collection to personally meet and talk to numerous stakeholders to discuss the new policy. It’s not always easy to get the ear of important people, but accessing their private office to look at artworks can provide you with great opportunities! Nicole used this chance to the utmost, educating stakeholders about the importance of shade, air conditioning and other associated factors to the preservation of the artwork while undertaking her inventory. Trevor also started his revolution by explaining the situation to borrowers. As part of this, Trevor offered anyone willing to do so the chance to replace their display items with prints, which could be of any object in the collection. This was what Trevor called a ‘game changer’, as it gave borrowers a great incentive to implement change by offering them much greater choice. At UT, the new loan policy is still in draft form, but Sonja has flagged the need for a personal review of the loan policy with each borrower in order to ensure they are fully aware of their responsibilities at all stages of the loan – before, during, and after. Both Nicole and Trevor reported that results have been encouraging since the implementation of their new policy. Nicole’s comprehensive new policy, which covers loan approval processes, installation, annual contracts and reviews, facility reports, inventory, light sensitivity, security, glazing, hardware, and even the recall of works, has gained significant acceptance within Harvard. At BYU, the situation has greatly approved. The requirements of collections care are much more widely acknowledged, and BYU’s print program has meant that the number of original artworks in display has significantly reduced. The success of BYU’s new approach was illustrated by the example of no less than the university president, who declined the return of a painting to his office after it had been on loan elsewhere and kept a print on display instead. If the new policy at UT is approved, Sonja is hopeful that her university will be similar results. All three speakers did a great job at showing us just what a good registrar can do. Confronted with very difficult situations in which to manage the care of their collections, Nicole, Trevor and Sonja have all made enormous strides in helping to ensure that their collections are well cared for and preserved for many years to come. It was inspiring stuff to hear, and I was so glad I was able to be there to hear it. Chainsaw juggling? That’s nothing – give me university juggling any day! Greg Hunter is the Registrar of the National Sports Museum at the Melbourne Cricket Club in Melbourne, Australia. He is a member of both the Australasian Registrars Committee (ARC) and the Association of Registrars and Collections Specialists (ARCS), and received a travel stipend to attend the 2015 ARCS Conference. He loves learning about museums, and enjoys reading, writing, and playing guitar in his spare time, though ‘playing’ is perhaps a very generous description of his attempts in that particular field.